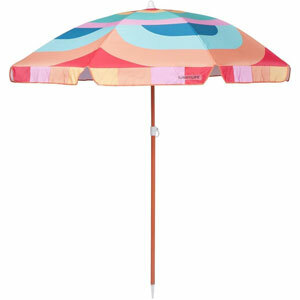 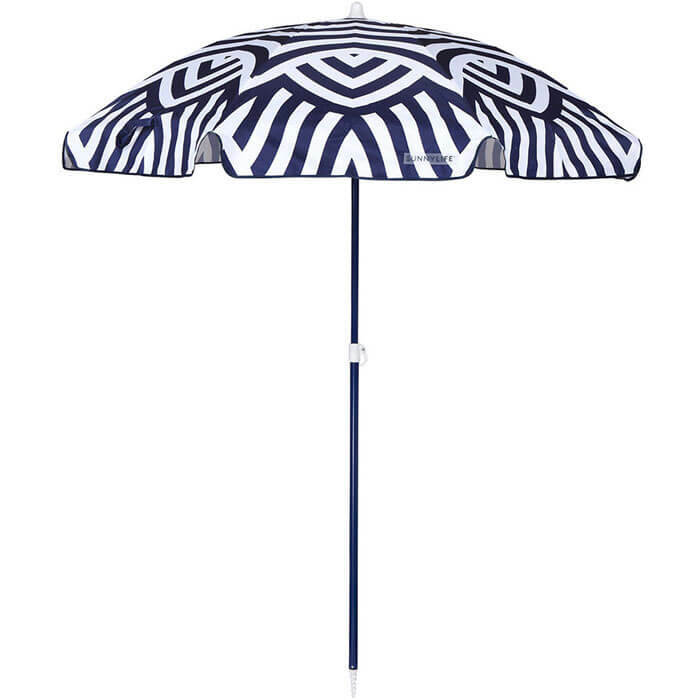 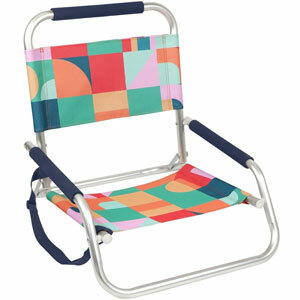 Take care in the sun with this help of this Beach Umbrella Azule. 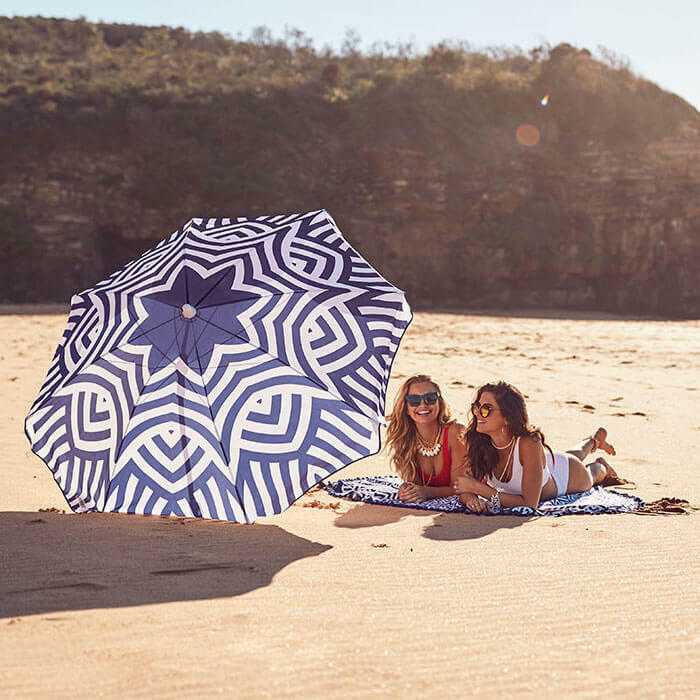 Featuring a UPF 30 protection coating to stay shielded from the afternoon sun. 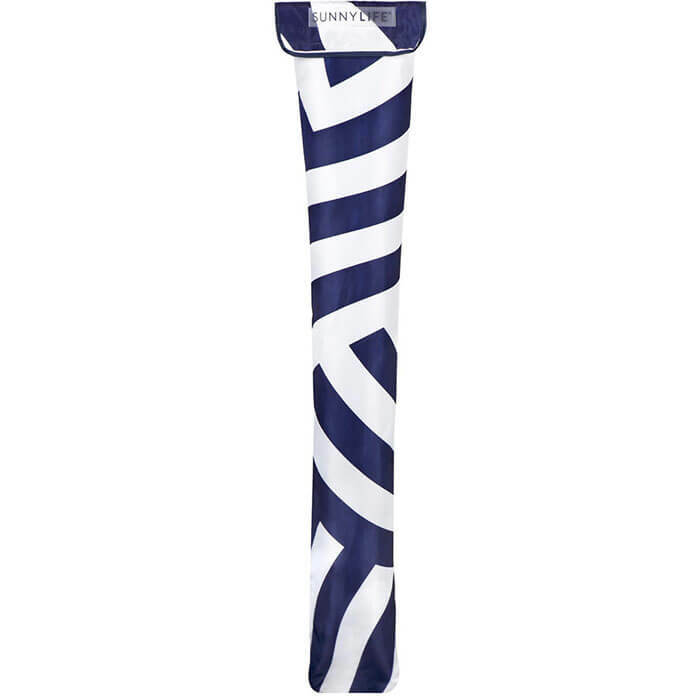 The waterproof surface also protects from any spots of rain. 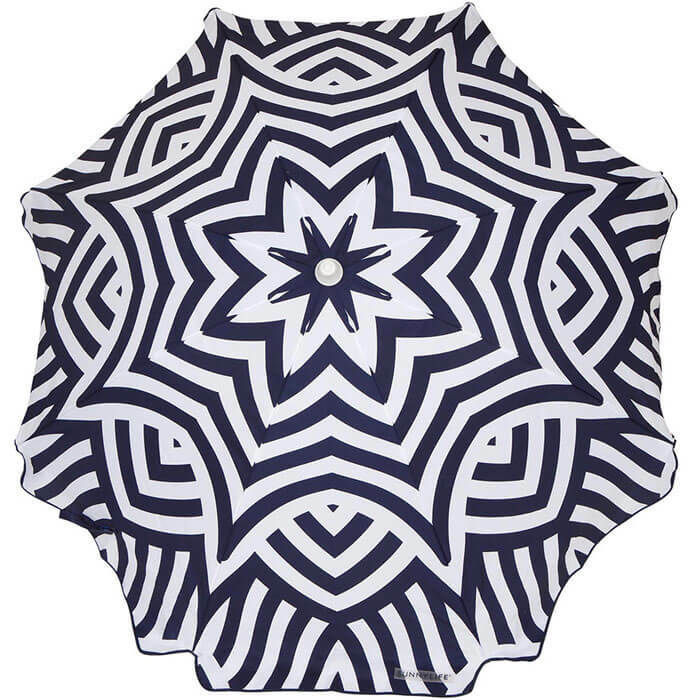 Finished with a vibrant design and carrying bag with shoulder strap.